Now that Ben is a little over a month and a half old and I’m feeling a lot more like myself and he and I have been venturing out of the house a lot more often! To be honest, leaving the house right when this little guy was born felt very overwhelming. He was still so new, it was super cold outside, and my healing body just wasn’t ready for anything outside of the necessary travels (aka the doctor). Fast forward a few weeks and I can’t believe how much BETTER I feel. I’m slowly but surely ready to tackle the day’s adventure with my favorite little buddy. As long as I pack Ben’s necessities, we are both excited to take on whatever the day has in store for us. But enough about the bag itself, let’s chat about what I’m packing in this lifesaver. I’m really trying my best to be organized and intentional with what I add to the bag because I want to keep it as efficient as possible. I know the contents of the bag will change as Ben grows, but for now, I’m finally in a routine of what to bring on our daily adventures. 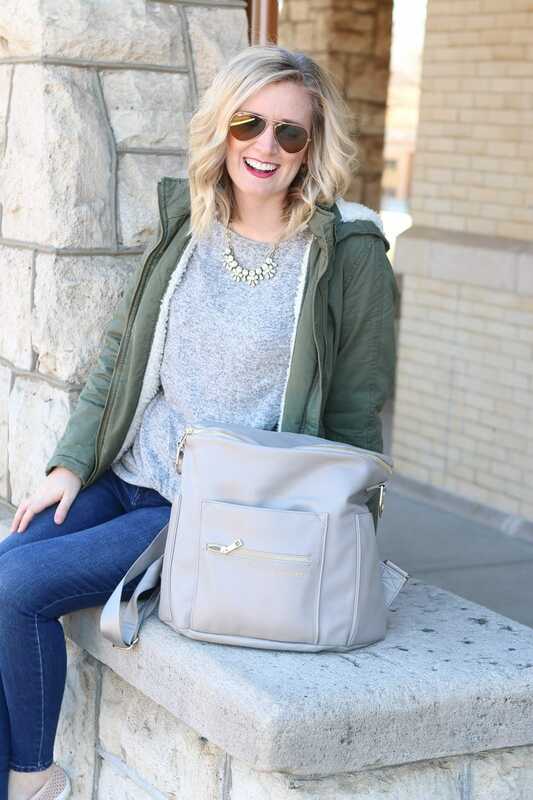 The first thing I have in the diaper bag is a backup outfit (or two! )… just in case the little guy has an accident. I also I have burp cloth and sometimes a petite blanket just in case. Next, I have all the baby essentials. Now to be perfectly transparent, I’m not someone who has organic everything… not even close. 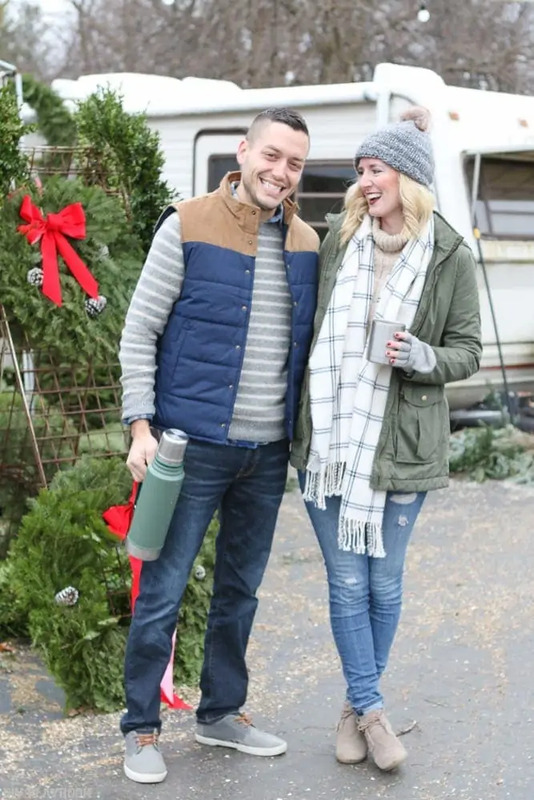 However, I do recognize the benefits that come with a natural lifestyle and try to incorporate these options as much as possible… especially now that Ben’s here. 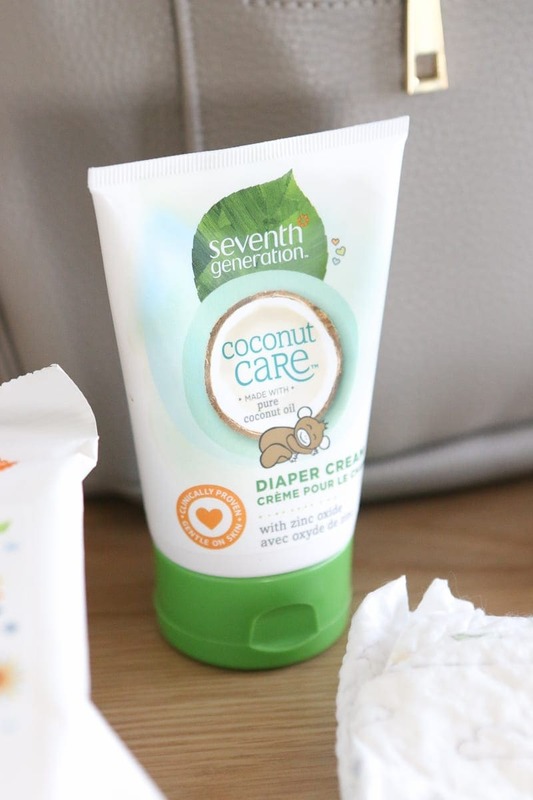 To me, baby products seem to be a great place to start when trying to inject more natural options into your daily routine. Again, I’m NOT perfect and have lots of room for improvement in this area, but I’m trying to be conscientious now that Ben is in the picture. That’s why I was extra excited when Grove Collaborative reached out and invited us to try their products and share our experience. Grove Collaborative is a scheduled delivery service that allows you to auto-replenish all of your natural products in one place. 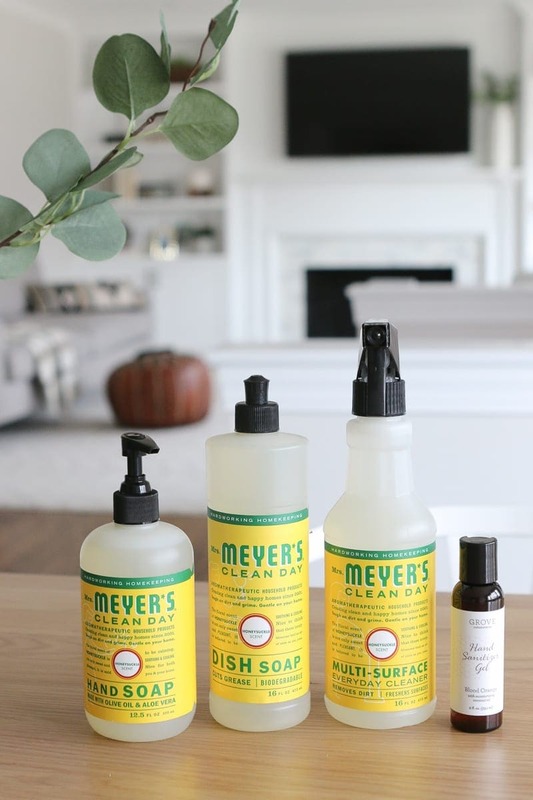 Instead of having to track down all-natural laundry detergent from the store, then stop by another store for vitamins, and then a different store for non-toxic cleaning supplies, you can find ALL of these items online and scoop them up with no hassle. I’m a non-toxic newbie but I was super impressed at all of the household (and personal care!) options that they offer. And the best part is that you can schedule your products to automatically deliver within a time frame you feel meets your family’s needs. As a new mom who is constantly forgetting everything (I’m blaming it on the lack of sleep! ), this no-hassle, automatic delivery sounded pretty amazing to me! I ordered everything I needed for my diaper bag and also for Ben’s bath time. I also got a few non-toxic cleaning supplies to cut down on the chemicals that we bring into the house. Again, I’m far from going all natural everything… but every little bit helps, right?! 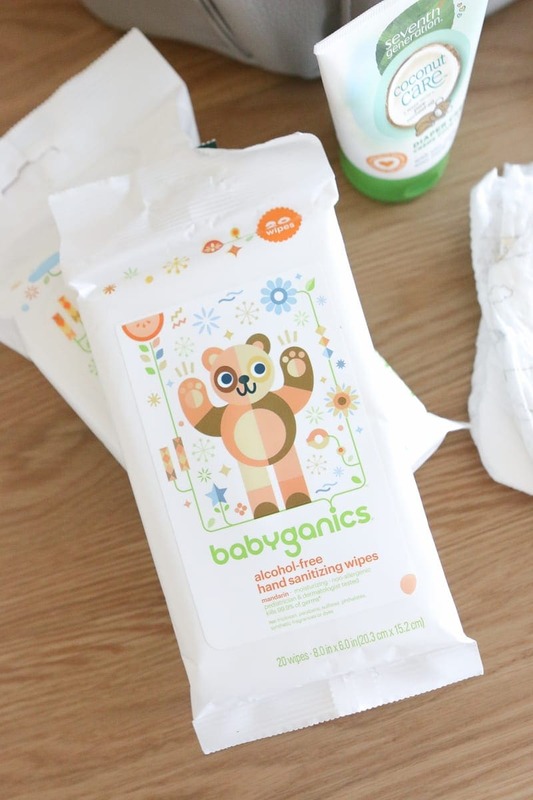 I feel like these baby steps towards non-toxic products can only be a good thing for all of us. Plus, Grove makes it easy since I know that all of the products on their site are carefully selected. I’ll keep you posted on my experience with the laundry, sanitizers, and cleaning supplies that I ordered, today I wanted to report back on the diaper bag essentials. I loved that I had the option to buy smaller sizes on Grove’s website, which is what I opted to do for the diaper bag. 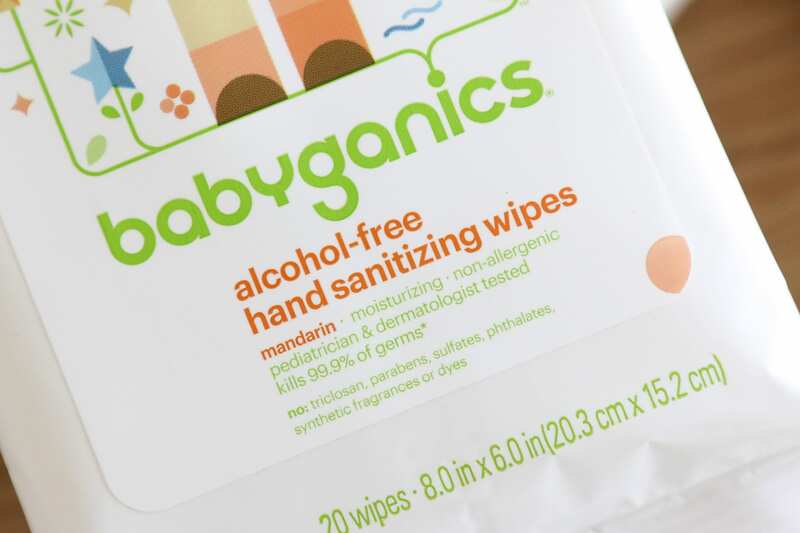 I bought sanitizer wipes (because public bathrooms… gross), non-toxic baby wipes, and a natural diaper rash cream. I added all of these items to my bag and love how easy it was to inject some of these natural options without breaking the bank. I also bought some shampoo, lotion, and sunscreen for Ben. So far I really like them (well, minus the sunscreen since I haven’t used that yet) and love that I can pronounce all of the ingredients on the label. It makes me feel more confident that I’m not exposing Ben to unnecessary toxins. 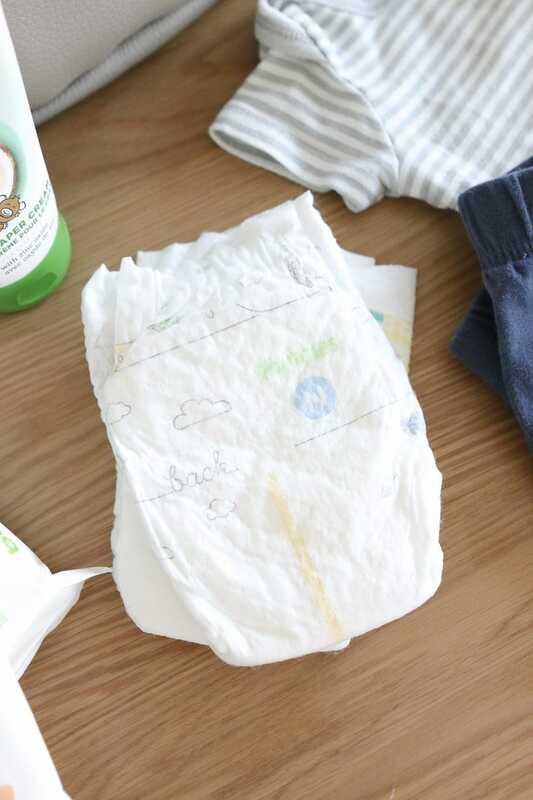 Outside of the baby gear and diapers, I also usually have a changing pad (I “took” some throwaway ones from the hospital that I love! 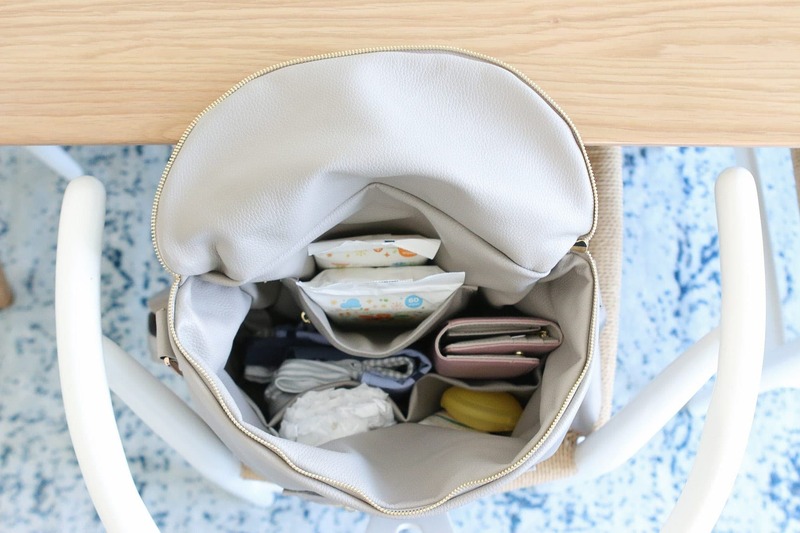 ), my wallet, a few snacks for me, and my cell phone in the diaper bag. So far this combo has proven to be working well and keeping our daily adventures organized, yet laid back. Those items should help your home become a tad bit greener! Use this link to sign up and receive the free products with your order. And don’t worry if you’re already a Grove member, you’ll still get a freebie…some walnut scrubber sponges! I asked you guys about your best diaper bag recommendations on InstaStories while I was pregnant and got a lot of great feedback (thank you!!). 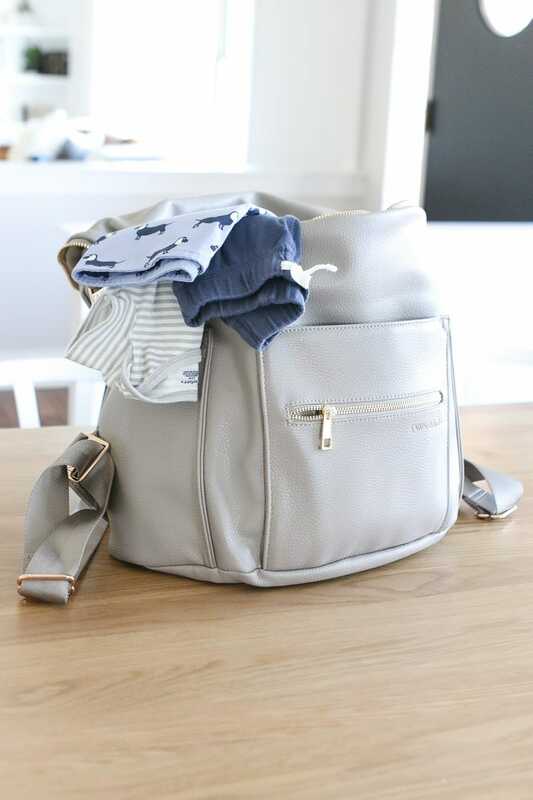 I looked into all of the recommendations and ultimately decided to go with the one that came most recommended — this Fawn Design Diaper Bag. Everyone who mentioned this bag raved about the quality. Plus, I love the look and how this bag comes with the option to wear as a bag or as a backpack. As I’ve quickly learned over the past month, hands-free is where it’s at when you have a little one! It was a bit of a splurge at $159, but my amazing sister bought it for me for my birthday so I was excited to give it a try. So far I’m extremely happy with this bag. I know it’s only been a month but I’m already impressed with the quality. I like the size, the color, the pockets, and love that it matches with just about anything I wear. And although you can wear this is as a crossbody bag, I haven’t even used that feature because the backpack has been SO convenient. Overall, I’m glad I splurged on something I love, especially since I’ll be wearing it every day for a while. Plus, I have room to stick my wallet in there so I really don’t have a need to buy any other purses/bags for quite some time. 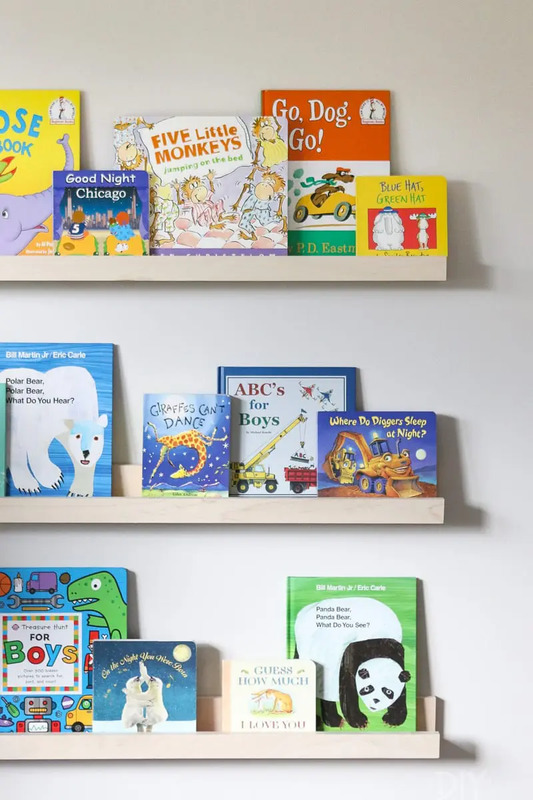 If you love the look and are looking for a more affordable option… a lot of our readers recommended this knock-off version! I can’t speak to the quality, but wow, it looks almost identical for a fraction of the cost! Now, I’d love to hear from you guys. 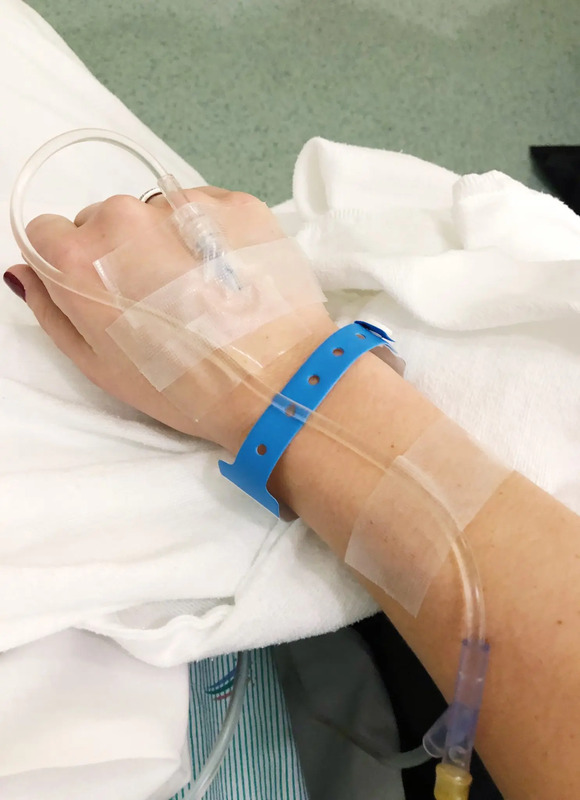 As you can tell I’m an organic newbie but am very interested in the topic and would love to continue to take baby steps to help keep our family free from as many toxins as realistically possible. If you have any experience or advice, I’m all ears!